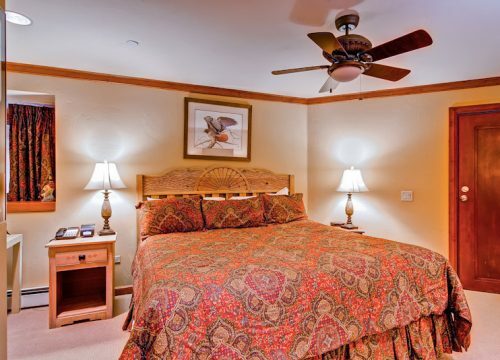 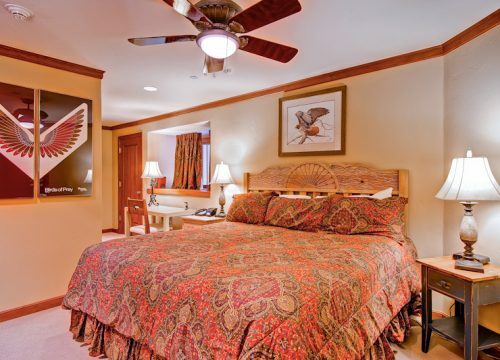 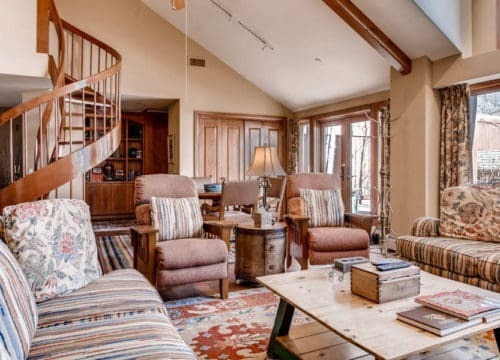 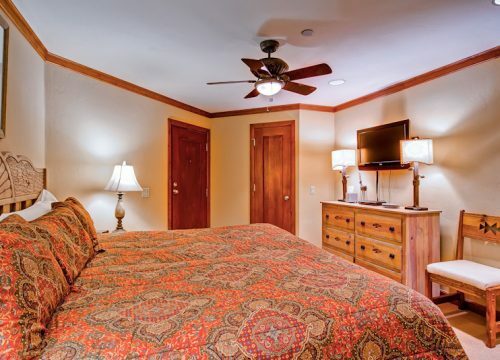 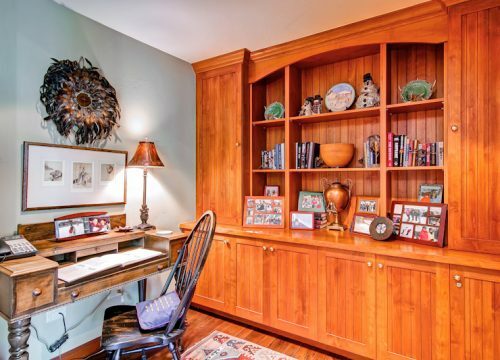 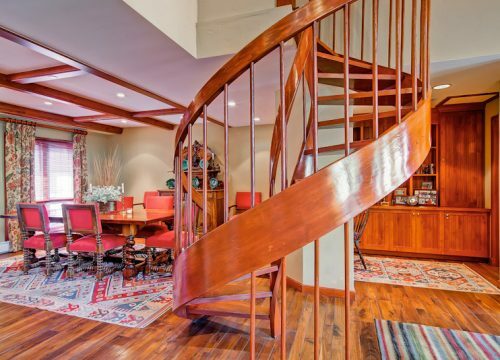 This multi-level, five-bedroom, five-and-a-half-bath residence in the heart of Beaver Creek village has comfortable mountain-style décor throughout, with thoughtful touches and all the comforts of home. 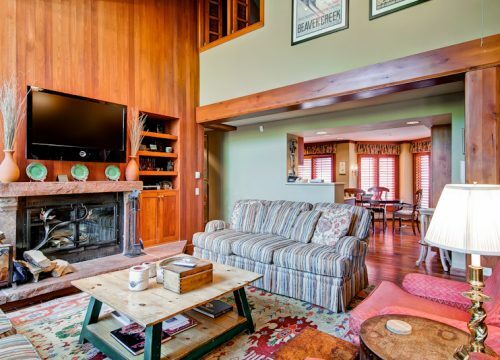 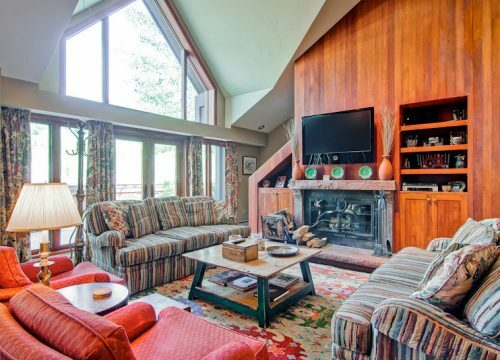 The living room, on the main level, and the patio have wonderful views of the mountain; you can even wave to the kids skiing down the Haymeadow run of Beaver Creek at the end of the day. 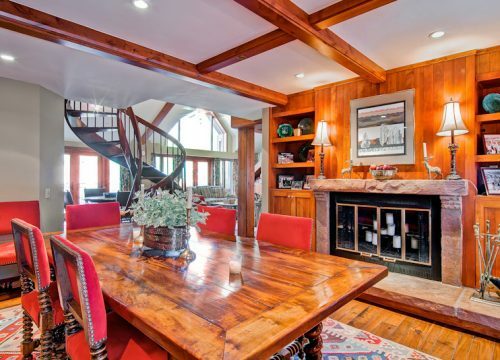 The spacious kitchen with breakfast nook will make cooking breakfast to fuel the day’s activities a pleasure. 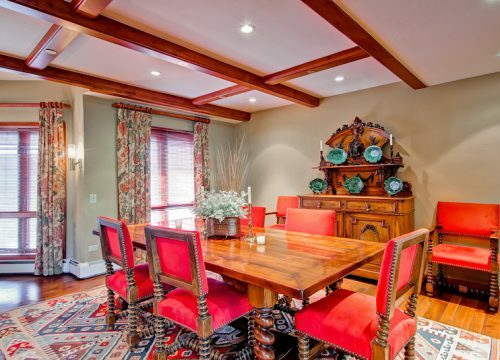 The dining room is a wonderful spot to linger and enjoy a meal at the end of a great day on the slopes.